The exhibition is constructed as an exploration of the origin of the archetypal image of the witch. 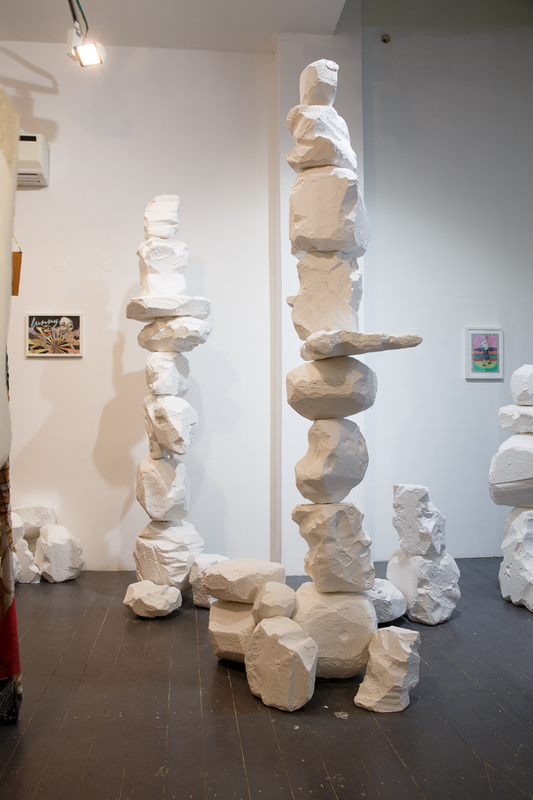 The journey passes through a series of installations that divide the gallery into four areas: the grave on the mountain; the forest; the hybrid between man and beast; the cave. 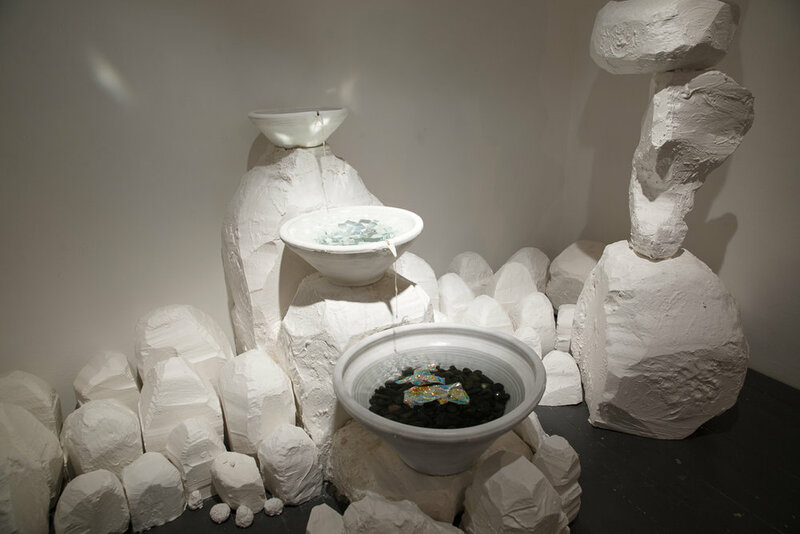 The works and the manner in which they are installed are reminiscent of ritual activity. The exhibition was inspired by "the witch from Hilazon," whose grave was found in archaeological excavations on behalf of the Hebrew University in the cave of Hilazon in the Western Galilee. The grave contained a 12,000-year-old skeleton of a crippled woman who probably practiced shamanism. Alongside the skeleton, there were also unusual offerings: 50 tortoiseshells, the hipbones of a tiger and a human leg. The ancient shamanic tomb, and the only one of its kind in the Middle East, invites us to become acquainted with the forgotten local matriarchal history. As for today, in certain feminist circles, the image of the witch has transformed from being an offensive symbol to a symbol representing women's power. This transformation is part of the struggle for equality between the sexes and breaking of patriarchal social concepts. In a personal interpretation of the longing for a lost reality, a bridge that was burned, and the desire to bridge between the past and our familiar reality, the participating artists face collective memories that they must map, burn and sacrifice to create a new reality. 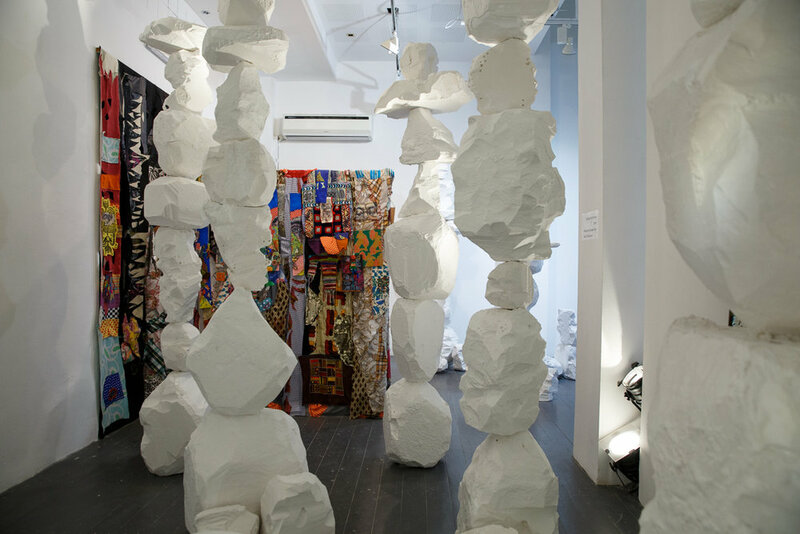 The journey begins with an installation made of patches and attachments between cloths, threads, various crafts and pieces of wood by Inbal Limor Pfeffer, which appears from the depths of the imaginary mountain "Ein Ha'Kvura" (Eye of the Tomb). 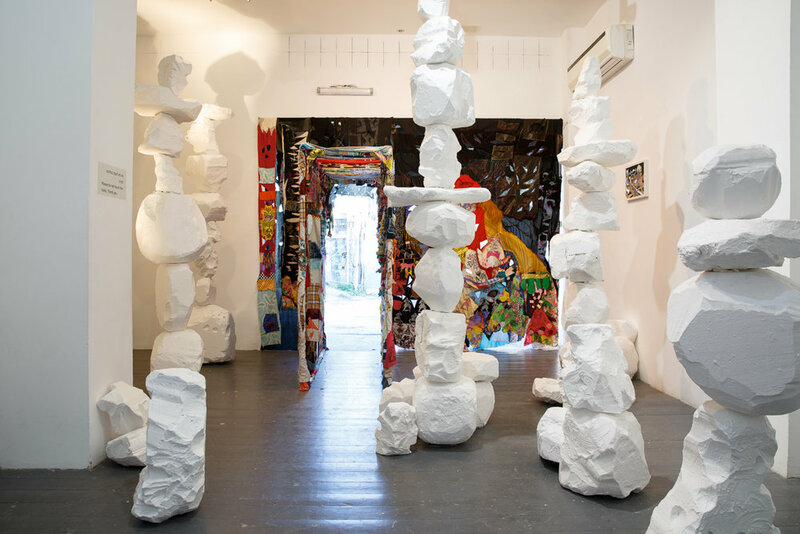 Through a ceremonial and spiritual entrance, visitors enter the thick forest of Elena Ceretti Stein, a forest of white bone-shaped rock sculptures with a fountain hidden amidst them. In the third area of the voyage, Cornelia Renz exhibits intertwined hybrids between humans and animals, on Zionist landscapes, painted with pigmented markers on canvas. The end of the journey in the fourth area - The Black Cave - Inbal Mendes Flohr exhibits large-scale phosphorescent paintings. Inbal Mendes Flohr born in 1976 in Jerusalem. Lives in Moshav Mata. Graduate of Oranim College, MA, University of Haifa. Works in painting, teaching art at the Israel Museum of Art, Jerusalem. Elena Ceretti Stein (b. 1990) is an Italian-Israeli multidisciplinary artist born in Milan, Graduate of University of the Arts in London, lives and works in Tel Aviv, Israel . Cornelia Renz (b. 1966) lives and works in Berlin, Germany and in Jerusalem, Israel. Grants and prizes include the Art Cube Artists Studios grant, Israel, the Grant of Künstlerhaus Schloss Balmoral, Germany, the Villa Aurora Grant, Los Angeles, USA and the Fine Art Award of the Schering Foundation, Germany. Inbal Limor Pfeffer born in 1980, Ashkelon, multi-disciplinary artist, graduate of art studies at Beit Berl College of Art. Works in doll design for the production of Red Band cinema and television. 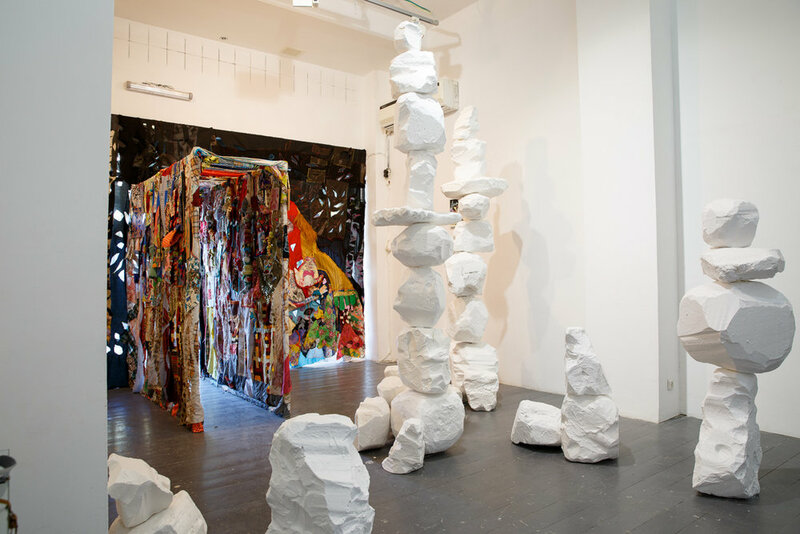 The exhibition How to Catch a Witch is the second in the annual theme of 2019, which is dedicated to exhibitions relating to the concept Burn Your Bridges Down. The word Bridge describes an architectural functional structure that connects two places, and is commonly used as a metaphor. The command Burn your bridges is used as a strategic plan in situations of siege or persecution. Bridges symbolize physical and mental territories, changes and transitions between periods and interpersonal relationships. We are accustomed to thinking that the path to growth and progress must be based on creating continuity and bridging gaps. Sometimes, however, the only way to move on, to reinvent ourselves, to rise up like a phoenix from the painful memories, is to sever the relationship irreversibly. To burn the bridges so that we can no longer go back, in order to prevent demons from the past from continuing to persecute us. In the 2019 exhibition we will examine the concept of burn your bridges down from a variety of aspects: personal, intimate, political, historical, gender and social.